FUEL EFFICIENT 21 MPG Hwy/15 MPG City! CARFAX 1-Owner, GREAT MILES 31,616! King Ranch trim. Heated/Cooled Leather Seats, NAV, 4x4, Heated Rear Seat, Back-Up Camera, Turbo, ENGINE: 3.5L V6 ECOBOOST, Tow Hitch, Alloy Wheels. CLICK ME! Leather Seats, Navigation, 4x4, Heated Driver Seat, Heated Rear Seat, Cooled Driver Seat, Back-Up Camera, Running Boards, Premium Sound System, Satellite Radio, iPod/MP3 Input, Bluetooth, Trailer Hitch, Aluminum Wheels, Remote Engine Start MP3 Player, Keyless Entry, Privacy Glass, Steering Wheel Controls, Child Safety Locks. ENGINE: 3.5L V6 ECOBOOST. 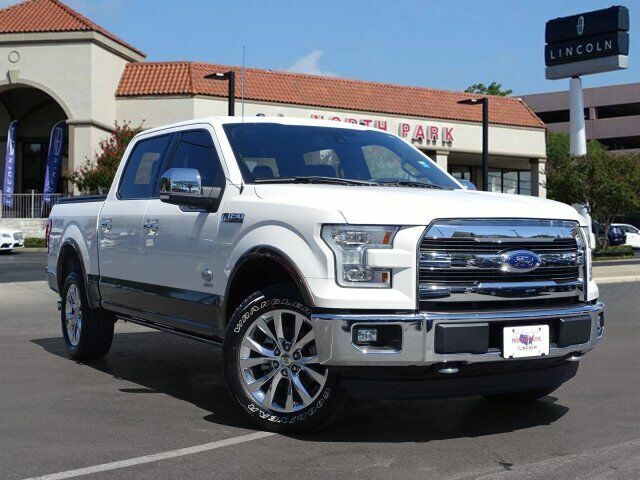 Ford King Ranch with MESA, KING RANCH MESA LEATHER BUCKET SEATS -inc: 4-way adjustable driver/passenger headrests, heated interior features a V6 Cylinder Engine with 365 HP at 5000 RPM*. Everything in the interior is ergonomically designed in such a way that there`s a padded armrest exactly where you`d want it, and frequently used controls are located right where your hand would instinctively reach for it. -Edmunds.com. Great Gas Mileage: 21 MPG Hwy.